© MAAR 2017 | All rights reserved. We have all heard the saying “everything eventually reverts to the mean.” No? Fair enough. There’s a saying that goes “everything eventually reverts to the mean.” It’s a way of expressing that, over a sufficient time period, a data set can only remain above or below its long-term trend for so long, but eventually should come back in line with historical averages or growth rates. Applied to our industry, home prices could only stay above trend for so long. Alas, the gravitational pull of market forces is a powerful and unrelenting wonder (with mostly measurable and rational underpinnings). Take, for example, the graphic above which plots reported average home prices alongside 4.0 percent steady annual growth per year. 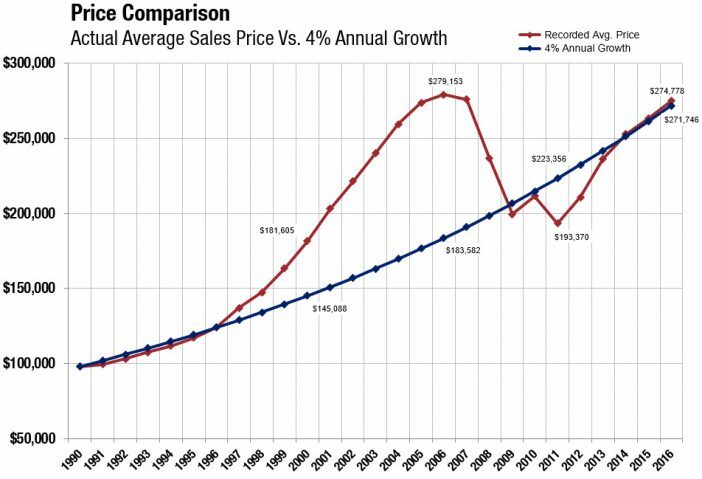 Both trendlines start at the same point–the reported averages sales price in 1990. After the early 1990s ran slightly below trend, 1997-2008 way above trend, 2009-2013 well below trend and 2014-2016 slightly above trend, we are right back in line with where the 4.0 percent growth trend is. This is why some economists use a pendulum analogy when discussing market forces. Markets tend to over-swing “balance” or “equilibrium.” With so much momentum, they tend to move from one extreme to another, without stopping in the middle. 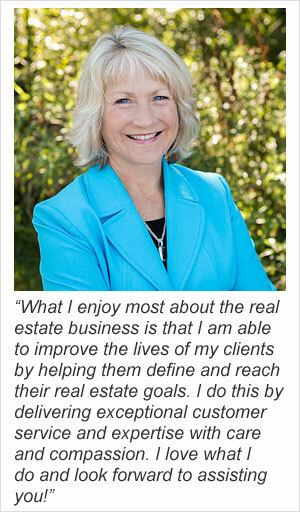 We tend to lurch from buyer’s markets to seller’s markets to buyer’s markets and now back to a seller’s market. Huh. Funny how that works. All the fuss, all the lost equity, all the subsequent appreciation, all those foreclosures, all the boom-bust cycles, all those debates about over or under-regulated wall street banks and mortgage markets and whether housing can go higher still and if incomes can keep up. And for what? Home prices ended up more or less where they belong. We’ve reverted right back to our historical growth trend. The market is back where it should be had housing appreciated at a steady 4.0 percent per year. It’s not just housing, commodity and capital markets that gravitate back to their long-term trajectories. Sea turtles, sockeye salmon and other members of the animal kingdom also understand the instinctual pull of home. No matter how far they roam, they travel vast distances to return to their original habitat–the environment that gives them a sense of familiarity and balance.